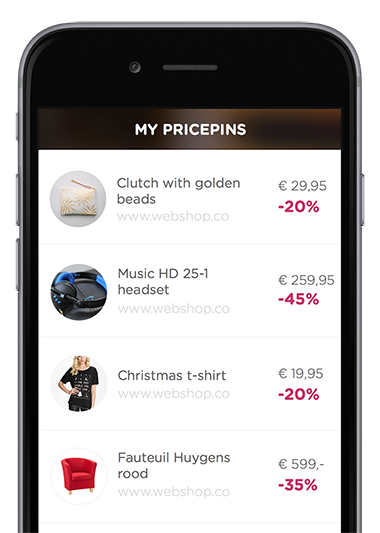 Using Pricepin on your iPhone or iPad is really easy. Just follow the steps below. You can also use Pricepin on your Android device or in your browser. 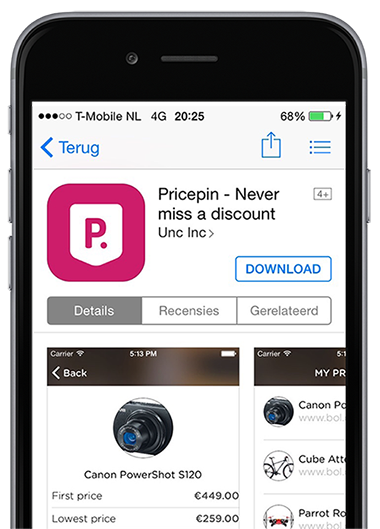 To use Pricepin on your iPhone or iPad, you need to download the app in the App Store. 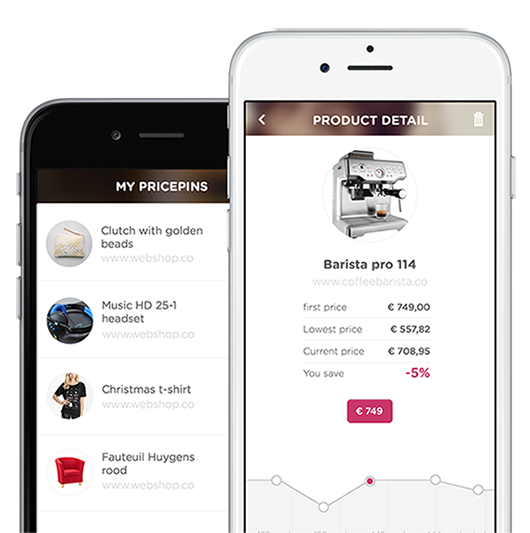 Start Pinning in any webshop you like! Tapping the browser ‘share’ button. Keep track of your pinned products everywhere! All your pins will be collected in your own wishlist. You can change your settings to get notified when the prices have dropped enough (30%, 40% or each percent you like). Check out your pins anytime and anywhere you want. Either in your browser or in our app!